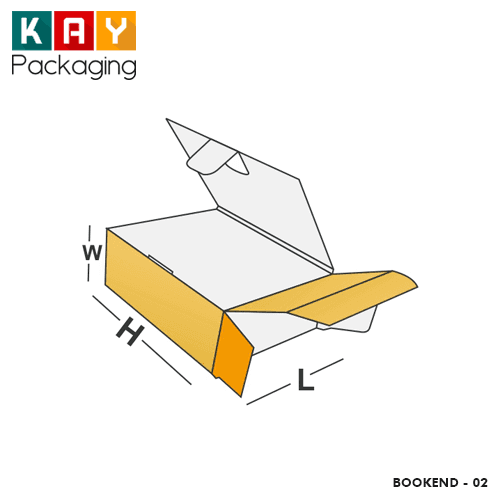 Our custom bookend boxes at Kaypackaging are not just affordable but top quality. These boxes are created with the finest of materials to give you access to long lasting and durable packaging boxes for your special product. These bookend boxes are created with an additional display panel which is a double layer. This glued panel opens like a book, allowing these boxes to function as packaging solution for products that requires a unique shelf presence and for grabbing the catching attention of the audiences. These bookend packaging boxes are ideal for packaging products such as pharmaceuticals, cosmetics, CD, software and other media products. We create them using the latest printing techniques and technology to make your product to stand out of the crowd. 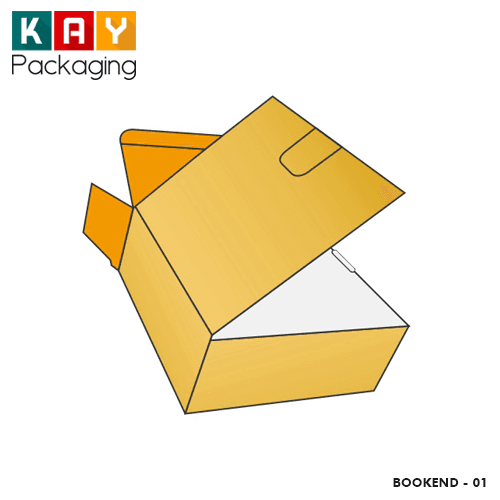 Kaypackaging has been servicing the packaging needs of hundreds of small and big businesses across the globe for decades. We are based in the USA but open to business for everyone. Our packaging specialists are rated among the best in the industry, with proven years of experience and exceptional creativity in the niche. We offer Bookend Wholesale including that of other packaging boxes at the best rates. If you are running a software, media or pharmaceutical business and need unique packaging boxes that will add more value and make your targeted audience to notice your brand with ease, then Kaypackaging is the right place to visit. We are committed to what we do. Our packaging specialists and graphics team are currently rated one of the best in the industry. 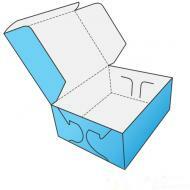 We will help you create packaging boxes that counts. We utilize modern color technology to come up with great combination of colors that will bring out the beauty of your packaging and uniqueness of your product. We take pride in creating packaging boxes from the scratch in order to make them 100% unique. Request for your company logo to be printed on your custom bookend to aid in brand recall and have it done according to your request. Business contact addresses, constituents of the product and direction for use can also be printed on these boxes to give potential buyers access to more information about the company and product. 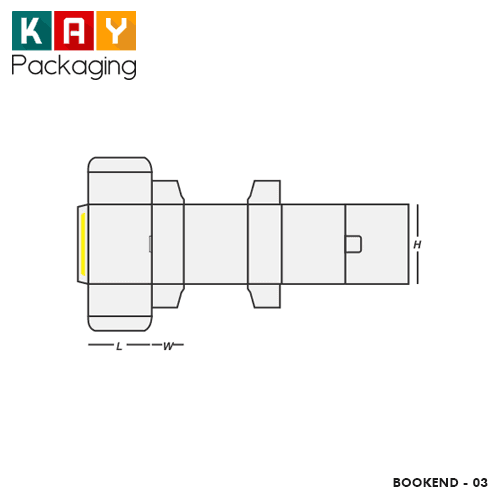 Why Choose Kaypackaging For Packaging Projects? Once order is confirmed, your packaging boxes will not take long before they get to you. Irrespective of the volume of order received, our distinguished packaging specialists always make sure that products are delivered within 8-10 business days. You can also take full advantage of our paid RUSH delivery service if you simply cannot wait for the 10 business days period. Our packaging boxes are printed with the finest of materials because we know the important role that packaging boxes plays in product launching. Cardboard stocks used come in varied thickness levels and we allow our customers to make their choices for their custom bookend. 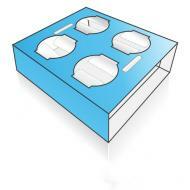 We are always ahead of the competition in the packaging niche and want our customers to do the same. Packaging printing is carried out with the latest printing technology including the digital, onset and offset printing technology. We also make use of the CMYK and PMS color technology, coupled with exceptional finish such as gloss, matte, spot UV, embossing and de-bossing. We are open for business 24/7 and our customer service agents are also available to attend to your needs. We are committed to providing 100% customer satisfaction to our clients. Our customer service agents are also ready to attend to your complaints and requests. We provide free shipment of custom boxes to the doorsteps of our clients in the USA. We also deliver products to our customers in other countries but with a token. No matter the country your business is situated, you will get your custom bookend packaging boxes at the cheapest rates.